Can Bud Boost the Bucks? Mike Budenholzer has a rep as an offensive wiz. But does that mean he’ll actually make the Bucks' offense better? Contributor Ryan Nguyen dives into the Xs and Os. When the Bucks fired Jason Kidd last January, his antiquated offensive and defensive schemes were frequently cited as key factors. Kidd’s defense was criticized for being too aggressive, a relic of a previous era, and his offensive sets also seemed stuck in the past. Both were highlighted as reasons he was failing to unlock his team’s full potential. 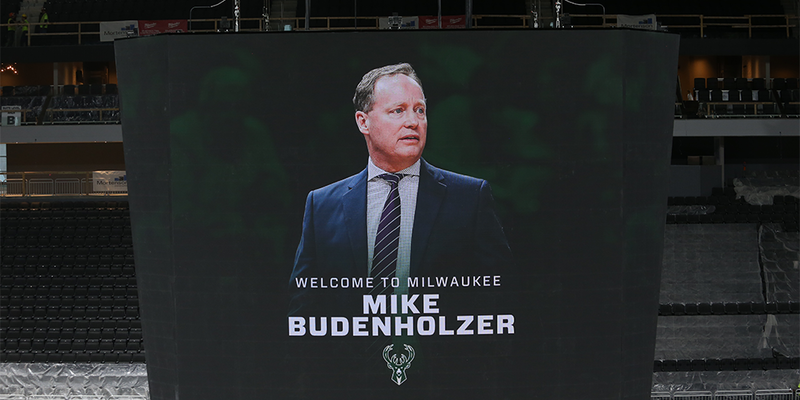 The decision to hire Mike Budenholzer, then, was a step in the process of modernizing the Bucks’ offense. In Atlanta, he had drawn plaudits for his motion-based approach, and the idea of combining his system with Giannis Antetokounmpo’s talents was tantalizing. The truth behind the narrative of both Kidd and Bud isn’t so clear-cut, though.